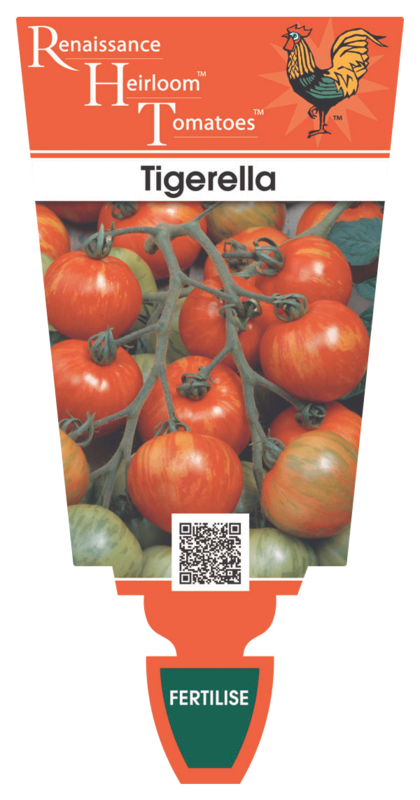 This small to medium-sized, red tomato has orange stripes and makes a stunning addition to salads. 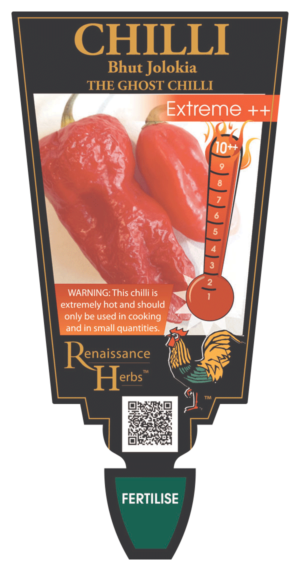 This is a favourite as it is early, high yielding, looks good, tastes sweet and versatile in the kitchen, use in salads or tossed with garlic, parmesan and parsley into pasta. A 1m tall staking variety. 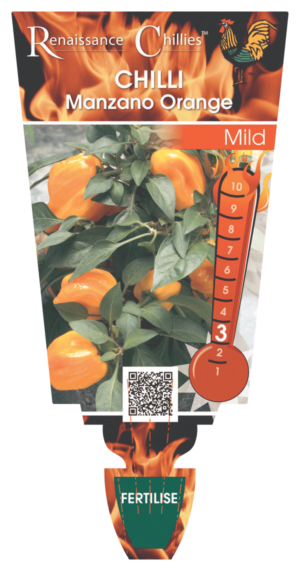 An attractive cultivar medium sized, red fruit with attractive orange stripes and has a tangy flavour. A medium sized variety with abundant yields early in the season. Like all tomatoes, Tigerella is high in the cancer fighting agent, Lycopene and also Vitamin C. Finely dice, mix finely chopped shallots, fresh pesto basil and extra virgin olive oil and place on lightly toasted Turkish bread then top with an anchovie for a special homemade bruschetta. Also adds color to any cheese and fruit platter. Plant in an airy, sunny position in well drained soil or very large pots. Requires a 1.8 to 2.4m stake.